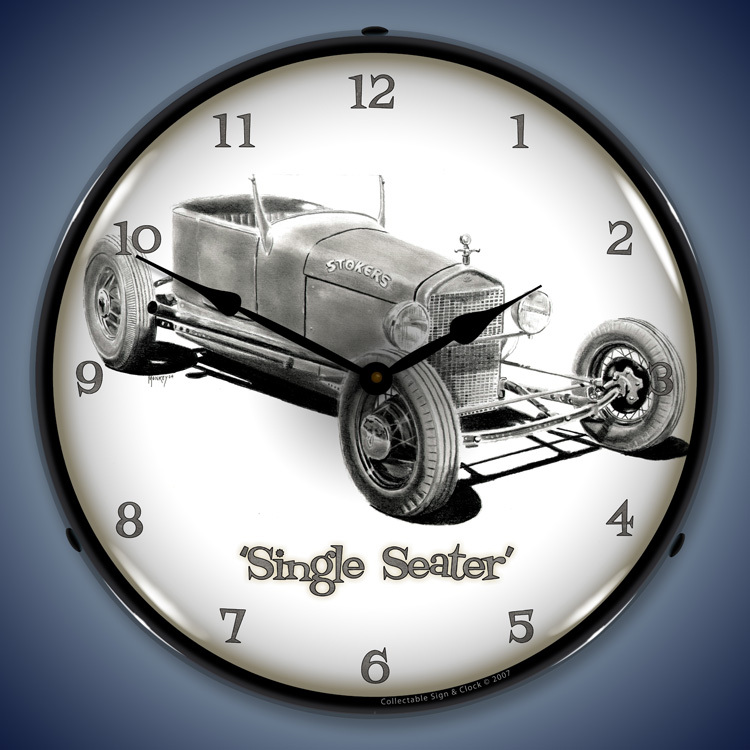 If you�re into vintage vehicles, vintage art and extremely cool backlit time pieces, you are going to love our Tim Odell art clocks. 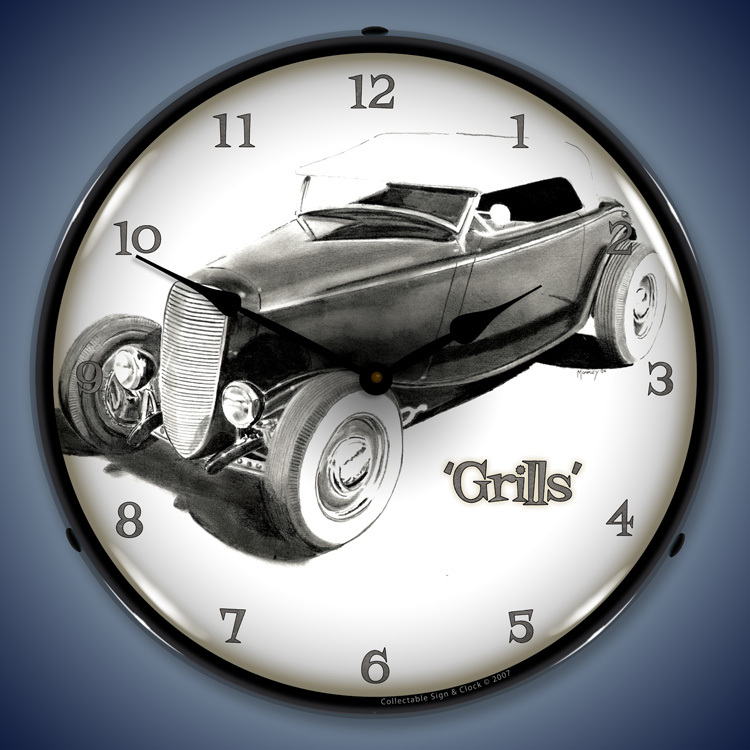 Odell is a renowned painter who created a series of artworks that captured a period where big, muscular cars, hot rods and hogs were the norm. His style was minimalist, many of his works being merely a vehicle with no background. But you didn�t need one. Even with their simplicity, exploring the detail in these works is great fun. 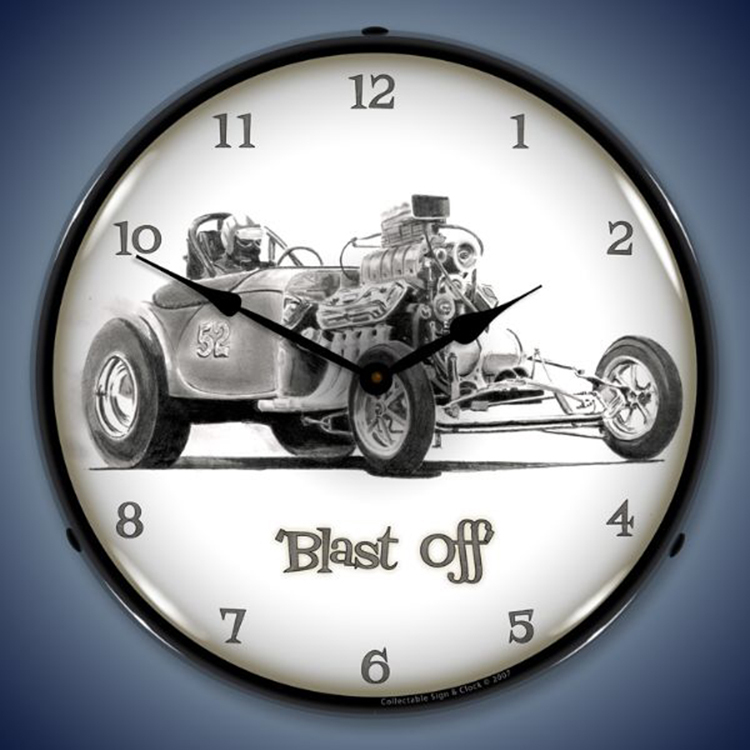 Blast Off depicts a racer with an open engine and a driver ready to burn rubber. 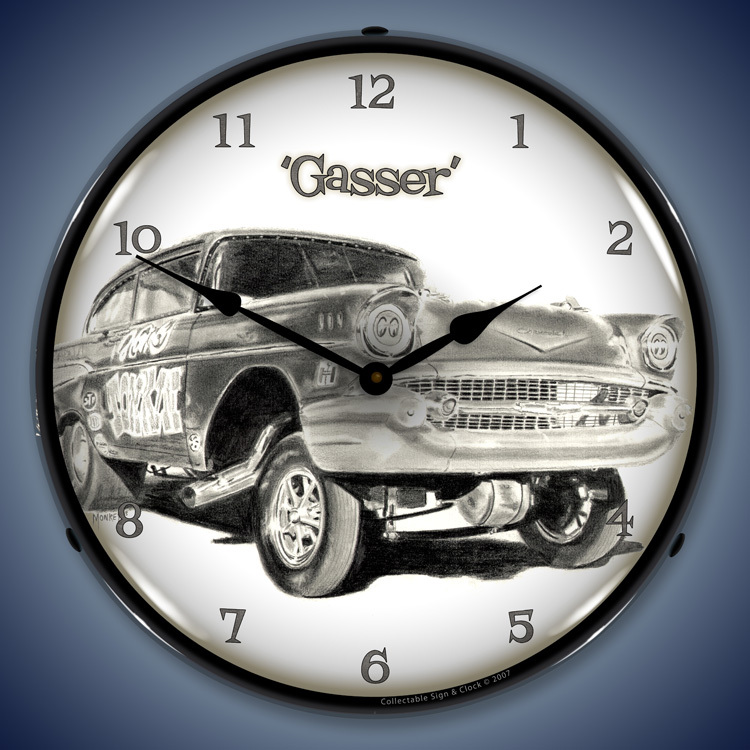 Gasser features a souped-up model that could almost be grinning with glee. Tank is a concept vehicle that still resonates retro. 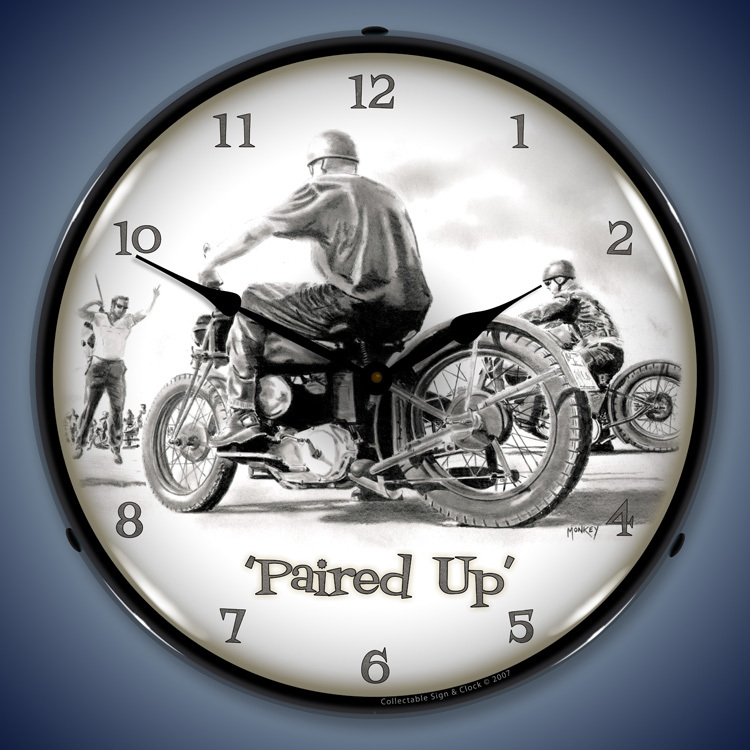 Paired Up has a pair of riders ready to tear up the tarmac with the wave of a flag. 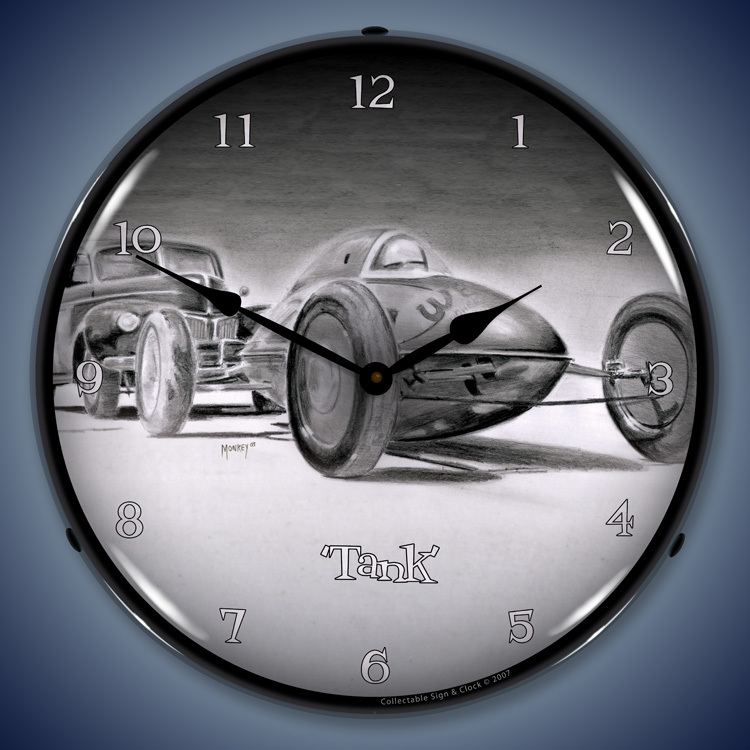 The Tim Odell art clocks are perfect for your auto shop, man cave, diner, or in the kids� bed or play room. 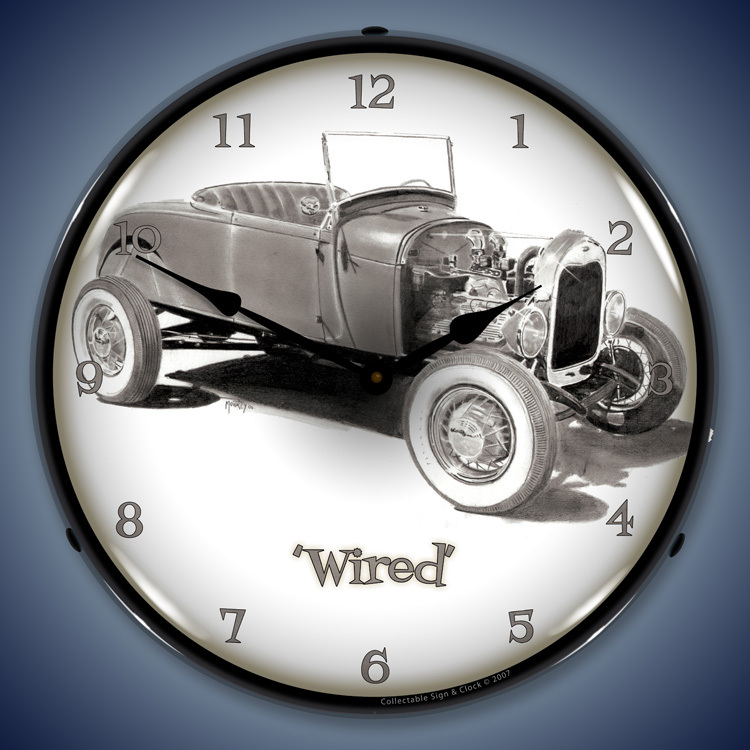 They would make excellent gifts for the car enthusiast, mechanic or vintage art lover. 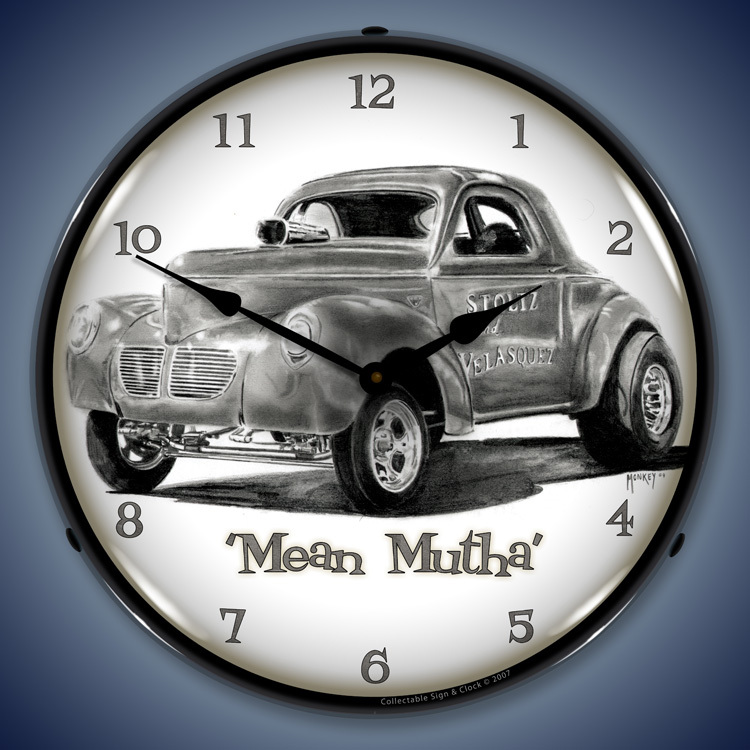 From Mean Mutha to Rail, enhance any environment with its beautiful printing. Every image was meticulously reproduced via a cut out that utilized a CNC router with care to not lose detail or distort the image to fit in a circular clock face. After, a special UV dried computer controlled printer was employed to recreate a high quality product that was as detailed as the original and promised to hold up for years. 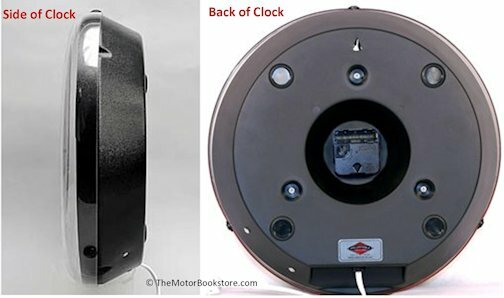 These time pieces measure 14 inches across with an outer lens engineered from a high end Lexan optical lens. It won�t yellow and is guaranteed scratch resistant. It�s held in place with three easily removable rivets that will make cleaning the lens a simple task. 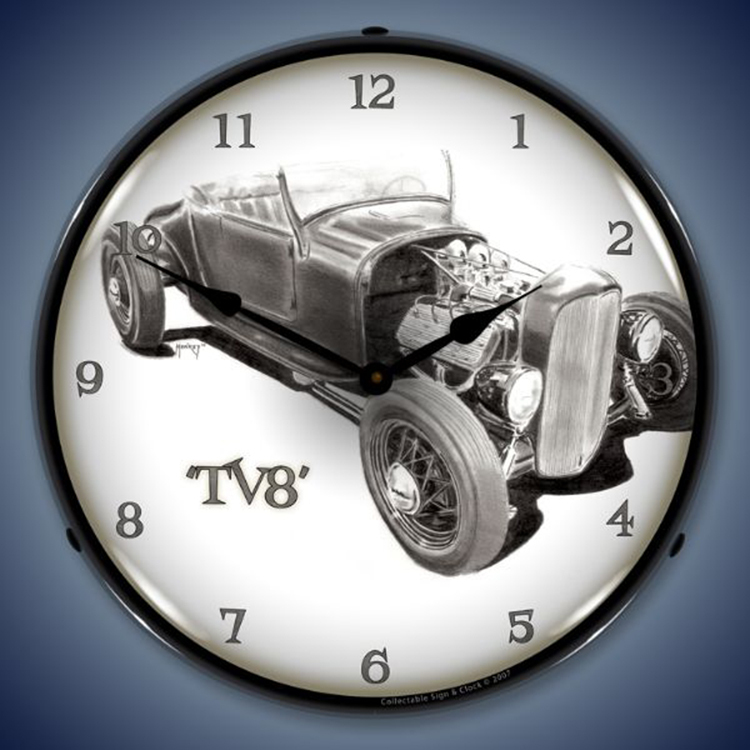 The Tim Odell art clocks are a must have. 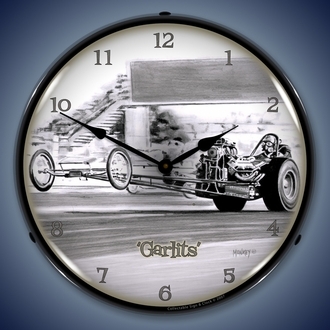 A low maintenance time piece that will brighten any wall. No Expedited Shipping option for these Products! Free shipping in US48.